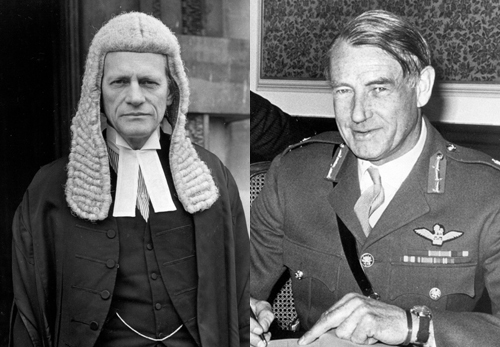 The declassified Ministry of Defence papers from the 1970s have revealed an agreement which allowed army officers to privately lobby successive Attorney Generals not to prosecute soldiers for serious offences, including murder. The Detail can now reveal that DPP Barra McGrory has already been asked to reopen the investigation of an unarmed IRA man shot dead by troops in 1972, after references from an army officer in the declassified documents suggested that the decision not to prosecute the soldiers who fired the fatal shoots had been “borderline to say the least”. •	The Attorney General was “always ready to receive representations” from army officers to prevent soldiers being charged with serious crimes. •	Less than 10% of all cases submitted to the DPP, regarding shootings or assault incidents involving soldiers, resulted in prosecutions. •	MoD officials were assured that the Attorney General and DPP were all ex-army and by “no means unsympathetic” to the plight of soldiers. •	By 1976 the British army had paid out the equivalent of £5.7m in today’s money in more than 400 out-of-court settlements to avoid soldiers being convicted of unlawful shootings and assaults on civilians. •	The army’s most senior soldier warned that any decision to convict soldiers would force the British army to review its entire operation in Northern Ireland. The confidential documents reveal repeated attempts by the army’s most senior soldier in Northern Ireland, Lieutenant General Frank King, to prevent soldiers from being prosecuted by the courts, for a range of offences, including murder. By January 1975 the British government had made 410 out of court settlements in cases in which it expected soldiers to be found guilty in court. By July 1976 the Ministry of Defence had paid £806,827 in settlements, the equivalent of £5.7m in 2013. Read selection of MoD out-of-court settlements involving civilian fatalities and assaults carried out by soldiers. The documents reveal assurances given to army chiefs by then Attorney General, Sir Peter Rawlinson, that his officials were not “unsympathetic” to the plight of soldiers in Northern Ireland and would do all in their powers to avoid prosecutions. “He (Sir Peter) assured me in the plainest terms that not only he himself but also the DPP and senior members of his staff, having been army officers themselves, having seen active service and knowing at firsthand about the difficulties and dangers faced by soldiers, were by no means unsympathetic or lacking in understanding in their approach to soldier prosecutions in Northern Ireland. “Rather the reverse, since directions not to prosecute had been given in more than a few cases where the evidence, to say the least, had been borderline. The confidential papers reveal how the Attorney General had assured the army officer that less than 10% of all cases submitted to the DPP, regarding shootings or assault incidents involving soldiers, resulted in prosecutions. General King said he had been assured by Sir Peter that no soldier was ever prosecuted in these cases unless there was evidence the soldier had “substantially” overstepped the mark. “I am bound to say that my worst fears have been allayed, at any rate for the time being, by the Attorney General’s assurances and I feel I am in a position to reassure all soldiers in Northern Ireland on this question,” he said. However the MoD papers reveal that the army officer remained dissatisfied with the Attorney General’s assurances and instead argued that 20 soldiers accused of serious crimes, including the shooting dead of unarmed civilians, should be tried by court martial, rather than civil courts. 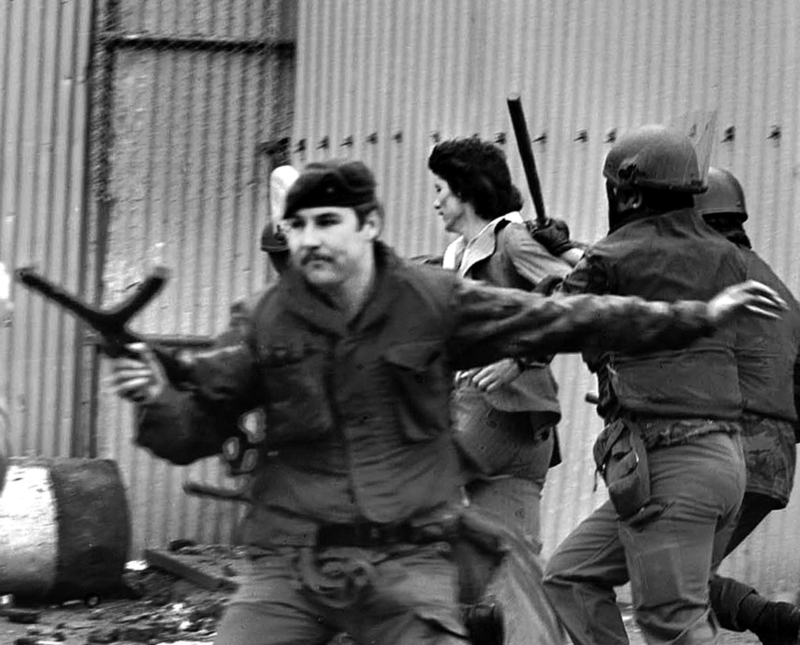 “My apprehension is that if a series of prosecutions of soldiers in the civil courts, arising out of operational incidents, were to result in several soldiers being convicted and sent to prison, the effect on operational efficiency and morale of the army in Northern Ireland would be extremely serious. In a follow-up letter one week later, he wrote: “I think these meetings have been highly successful, although there still remains a danger of a soldier being tried as a criminal when the GOC (General Officer Commanding) considers that he was performing his military duty properly, or was guilty of no more than a bona fide error of judgement in difficult circumstances. Dr Huw Bennett is a lecturer in International Politics and Intelligence Studies at Aberystwyth University and has written extensively on the role of the British army in Northern Ireland. In his 2012 academic paper ‘Smoke Without Fire’, Dr Bennett argues that the criminal courts exercised a “weak restraint” on the army, often giving soldiers the benefit of the doubt. “The Attorney General and the DPP refused to break the law in order to help the army avoid punishment for its crimes,” he said. Feargal McCann was the eldest of four children when his father Joe was shot dead on April 15 1972. Speaking ahead of the 41st anniversary of his father’s death (Monday), he said: “I was just four and half years old when my father was killed. My brother Ciaran was two weeks away from his first birthday. “It was very hard on all our family, especially because the soldiers that killed my father were never brought to justice. “It is clear now that the army was operating with impunity from the get-go. “The documents show there were hundreds of cases where the Attorney General invited British army generals to persuade him not to prosecute soldiers for murder and serious assault. “This is conclusive evidence of collusion at the highest levels and proves that the cover-up that followed my father’s killing stretched from Belfast to London. “These documents show that the people who were supposed to be upholding the law were in actual fact bending over backwards to allow people, who they knew had killed and maimed, to walk away scot-free. 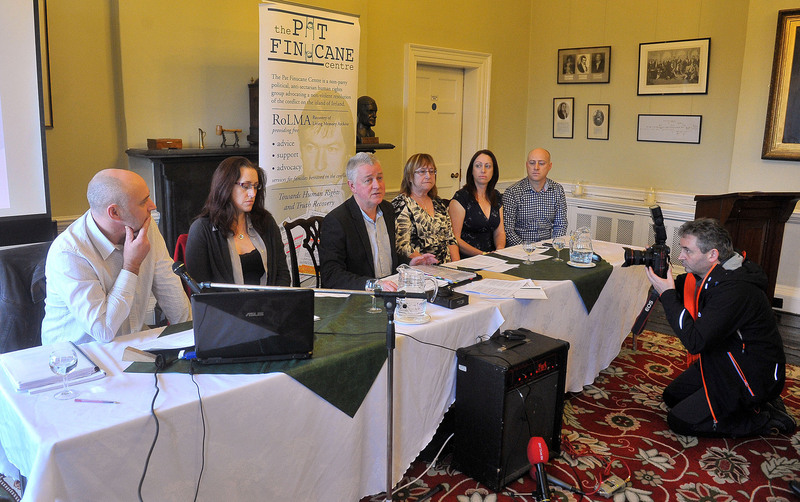 A spokesman for the Pat Finucane Centre called for the re-opening of any case which had been affected by the Attorney General’s decision to allow army officers to lobby for soldiers not to be prosecuted. “We are calling on the Director of Public Prosecutions to review all of the cases involved. “Correspondence shows that Frank King was successful in persuading the Attorney General to withdraw his prosecution of a Sergeant Crossland. “How was an army general allowed to influence a so-called ‘independent’ guardian of the public interest to such an extent? “What was being set out in this correspondence is that it was open to the army to draw to the attention of the AG and/or DPP any information they held which was relevant to their assessment of the public interest and which they might otherwise be unaware. “What is important is that the final decision on prosecution would have been that of the DPP (or the AG in a case that required the AG’s consent) taken independently of Government, the army or anyone else. “The view of the army or Government ministers on the public interest is never determinative – the AG and DPP are only interested in information which they can then assess.” Read full statement. Confirming that the DPP and PSNI had now been asked to reinvestigate the shooting of Joe McCann, solicitor Kevin Winter said: The McCann case represents a test case on this important issue, which could affect many other disputed army killings throughout the conflict." Read statement in full. When contacted by the Detail a spokesman for the PPS said it "can confirm that the PPS has received correspondence on behalf of the McCann family in relation to the shooting of Joseph McCann on 15 April 1972 and that the matters raised in it are under consideration”.